Good car, glides down the road and has lot of space. We bought our 2001 Odyssey last week from a taxi driver. It has 175. 000 miles and drives wonderfully. We have already put 430 miles and only spent thirty dollars. The turn signals are a little quiet but are not annoying for being too loud. We did have to replace the catalytic converter and the check engine light still comes on. We will get that checked out again. I like the trunk space and how it is made for groceries and can easily carry chairs. I like the captain chair upfront and the room between the passenger seats. The air conditioning and heat and instrumentation work wonderfully. I am grateful that I only paid $1000 for it. I recommend this model car to anyone looking for a good first car. You feel like you are gliding down the road. 2001 Honda Odyssey, a truly luxurious van that everyone will love, complete with tv and headphones for entertainment. If you want to take a road trip in comfort, this vehicle is for you! We got this vehicle with 153,000 miles on it but so incredibly well taken care of and clean. It was immaculate inside and out. Our kids think it's amazing, too. It is huge inside and the seats are so comfy. There's plenty of room for car seats and for our kids long legs without kicking the front seats. It came equipped with a tv and headphones if you don't want it playing in the whole car. It drives very smooth. The sound system is great. It heats and cools wonderfully and quickly throughout the whole vehicle. You can set your own temperature in each section. 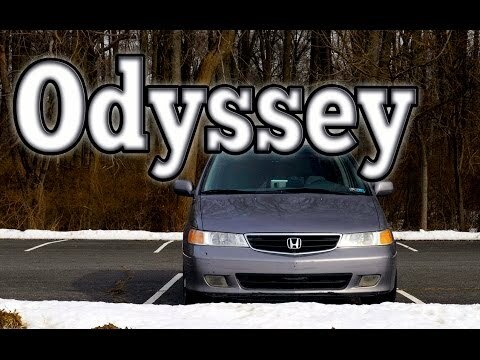 We love it and hope to have our 2001 Honda Odyssey for many more years to come! Space! Seats 7 with enough room for a wheelchair also. I like our minivan because it has enough room for my 3 children and their friends if needed. I love that both side doors have automatic opening doors. But what I dislike is the area where the radio is. The cigarette lighter (for Bluetooth connection) is very low. The cup holders are not that great. But I do like that it is reliable when needed for our large family. I never thought I would ever like a minivan but this Honda has made me a fan.